When you are new to essential oils, you face a bewildering array of choices. Which oils should you start with? If you want to share the best single oils or blends with a friend or relative, how do you choose? Thankfully, these difficult questions have been answered. 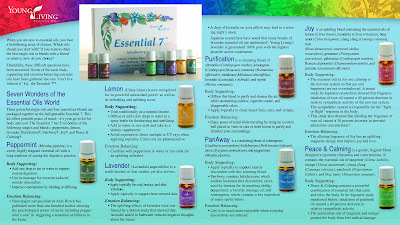 Seven of the most body- supporting and emotion-balancing essential oils have been gathered into one “can’t live without it” kit, the Essential 7™.